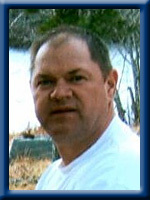 WHYNOT – Peter Gordon, 52, of Wildcat Mi’kmaw Community died at home on Sunday, July 4th, 2010. Born in Liverpool, he was a son of the late Allan and Barbara (Francis) Whynot. Peter was a carpenter’s assistant for Acadia First Nation. He was also well known as a basket maker, a mechanic, an all round woodsman who enjoyed hunting and fishing. He was known as a “Mr. Fix It”; a “try anything once” type of person even water skiing for the first time at 51. He was a “Ford man” through and through. He is survived by his wife of 32 years Valerie (Joudry). His sons: Neil (Carrie Ann) and Nicholas (Laura) both of Wildcat Mi’kmaw Community . His granddaughter Serenity. His sister Grace (Albert) Conrad of Milton and his brother Byron of Ponhook Reserve. He was predeceased by his brother Gerald. I am so sorry to hear of your loss. My mother and father (Merrill and Janet Whynot) always spoke very highly of Peter, and liked him very much. My condolances to you all at this very difficult time. we are so sorry to hear of your recent loss. it was a shock to both of us. time will heal you and your family and you will find closure. istill remember the time peter held me down and made chew and swallow chewing tobbacco. i was so sick. i never did forgive him for that but as i got older i used to laugh about it. we are thinking of you and the boys and wish we coulkd be there for you. So sad to hear this i’ve never seen pete for a few years but can still remember our little hunting and trapping trips. So sorry to hear about your loss i am thinking of you all. So sorry for your loss Valerie, will always remember Peter as a well liked guy, met him at the Petro-Can, & he always had a friendly “hi” along with some kind of tease! My thought are you at this difficult time, all the best to you & yours. VAL ,NICK & NEIL , WE ARE SO SORRY TO HEAR ABOUT PETER. PETER WAS A FUNNY & LOVEABLE PERSON . WE ARE GOING TO REALY MISS HIM, EXPRESSLY MAYNARD .VALERIE, IF YOU NEED ANYTHING THAT HAS TO BE DONE , PLEASE FEEL FREE TO CALL ON USE DEAR . PETER WILL ALWAYS BE IN OUR THROUGHTS HONEY. WE ALSO WILL REMEMBER HIS LAUGH & SMILE. WE WILL NEVER FORGET HIM . LOTS OF LOVE TO THE FAMILY.XXOO. We are truly sorry for your great loss. Peter will be greatly missed by many. We hold you deep in our hearts, thoughts and prayers. words will not express how shocked gary and I were to hear of the loss you are bearing. we will always remember the times we all lived in that little piece of land in Milton. everyone enjoyed the moments we all shared as friends. thinking of you always. We will all sadly miss Peter. He always brought a smile to our faces when he came to visit. He was sooo upfront and funny,,,,, and we loved his old Ford trucks. We could always hear him coming and always heard him sqealing up the pavement when he left. That was Peter. Sorry to hear of your loss. Peter was a wonderful man and will be so missed by so many..
val & family sorry to hear of your loss may the lord be with you and your family now and the days to come. we are so sorry to hear of your loss, sending our deepest sympathy to you. and your family. Sorry to hear about your loss Valerie, Neil and Nick. We all had some good times together. Our condolences to u all..
Val& family, so sorry to hear of your loss. Your in my thoughts and prayers. We are deeply sorry for your family’s loss. Please know that everyone is thinking of you during this difficult time. I am very sorry to hear the loss of your husband, father and grandfather, brother,father-in-law. My prayers are with the family at this time. Peter will not be forgotten because he will be in your heart. Just think of the good times family had with him. Don’t let the memories fade away always cheers his memory. God is with the family at this time. Peter is watching over you and the family at this time. Where ever you go he will be following you like an angel. Val, Nick, & Neil,So sorry to hear of Peter’s passing.He was a “great ” man who left his “mark” where ever he was on this planet.Hopefully he is in a better place. My thoughts & prayers are with you all. Valerie, Neil & Nick. I’m sorry to hear of your loss. Sorry I won’t be able to attend the service as I am in PEI. My condolences to you and the rest of the family during this difficult time. close to your heart. Time is a great healer. Please except our sincere condolences . greatly appreciated and never forgotten. Thank you,Peter. Our thoughts and prayers are with you at this time and the days to follow. Peter will always be with you in your hearts and all the special times you had together. Sorry to hear about Peter. Our thoughts and prayers are with you and the boys. Valerie and Family; our hearts just simply broke when we found out about the passing of Peter. I was lucky enough to have known him since I was a small boy when he drove my Dad’s truck, I realised even back then that he was a honest,reliable and very funny man! Keep your chins up and remember that we are thinking of you during these hard times and here if you ever needed us. So so sorry to hear about Peter. My thoughts are with you and the boys. He was one of the most outgoing people I ever met. Always doing something to keep busy. God Bless you and the family at this time. Words cannot express the heartfelt sympathy I have for you all at this time. Peter was the ” best of the best ” and will never be forgotten. You are all in my thoughts and prayers. So sorry to hear of your loss, we were shocked. Peter will be missed by all whose lives he touched. You are all in our thoughts and prayers. GOING THROUGH MILTON SCHOOL WITH PETER WAS AJOY AND VERY ENTERTAINING. OUR THOUGHTS ARE WITH YOU AT THIS TIME. GOD BLESS. Dear Val, Nick and Neil: Our thoughts and prayers are with you all at this difficult time. Peter will always be remembered for his big smile and joking ways. Take comfort in knowing others are hurting too. Our thoughts and prayers are with you all in your time of sorrow. Peter will never be forgotten. He will always be in our hearts. I am so sorry for your loss. When i worked with you in Bridgewater Val, and Peter would call he would always make me laugh. He always had a joke to tell me . He will be truly missed . My thoughts and prayers go out to you and your family at this time. He was a wonderful man to know . Peter will be remebered for his big heart and knowledge and his laughter . May his spirit soar . from gertrude christina lillian elmer and aaron and alden .our hearts go out to you all as well as our thoughts and prayers . So sorry for your loss, our condolences to you and the family at this difficult time. Sorry to hear about Peter, Our prayers are with you. Valerie, Neil & Nicholas: We have thought all week of the right words to say – but the “right” words just don’t come to mind. We are truly heartbroken over this tragedy, Peter was a true part of our “family” from the garage and we will miss him so much. He was always popping in to visit whenever he could – and always had to tease a bit on his way. His laughter will not be forgotten and his devilish ways cannot be duplicated. Please know that our thoughts and prayers are with you all. Hold on to the memories of good times – they will help get you through this troubling time. Love to you all. Sorry to hear about Peter, did not really know him as an adult , but growing up we went swimming at the dam, my thoughts and prayers are with you. Remember you will always have those wonderful memories. We have a question about the wording of the last phrase of your sentence. Did you mean to say never be forgotten ? I am sorry to hear of Peter’s passing, I have not seen Neil for years but I still remember the beautiful slippers his mother Valerie made for me and I still have them to this day. My thoughts and prayers are with the family. I am very sorry to hear about Peter. I will always remember his sense humor and how much he made me laugh. I am thinking of you all and praying for your family. We are very sorry that Peter is gone. He always treated me fairly and I enjoyed doing business with him. Some good hunting stories too. My thoughts are with you Valerie and the boys.